Chakras are the energetic centers of the body. 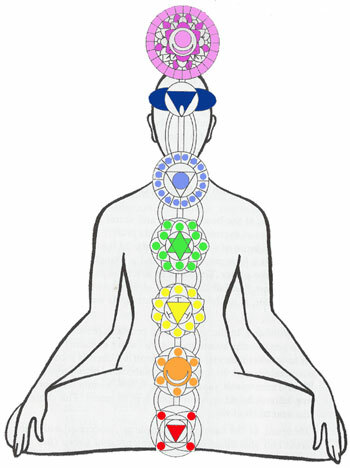 The concept of Chakras originates from the Kundalini theory of esoteric anatomy, and though Hindu in origin was influential in the developement of Chinese medicine, Alchemy, and Theosophy. Theosophy brought the concept of the Chakras to the western world, where it was taken up by the burgeoning Pagan and New Age movements.